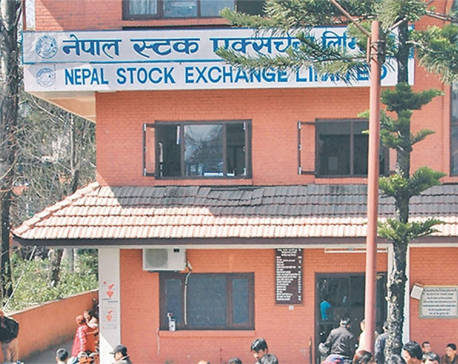 KATHMANDU, Nov 7: The much-hyped online stock trading system has come into full-fledged operation. Minister for Finance, Yuba Raj Khatiwada, launched the Nepse Automated Online Trading System (NOTS) on Tuesday, allowing investors in the country's only secondary market to carry out securities trading online. Following the implementation of the NOTS, which has been hailed as a new milestone in the country's journey to modernize the secondary market, investors will be able to execute their orders of buying and selling securities through their Internet-connected smartphone or computer. This new system, which will replace the existing manual trading system known as computerized trading system (CTS), will end the compulsion for investors to visit brokerage office for buying or selling their securities. With this new online trading system, investors will have an access to various features along with online entry of trading orders. According to Nepse officials, real time details including price information, high speed matching system and multiple orders are some of the key features of the new modernized trading system. Speaking at the launching ceremony, Minister Khatiwada said that implementation of online trading system in the secondary market was a part of the government efforts to develop capital market of the country. “We have to develop needful infrastructure in the market. Along with many other things, arrangement of online trading system is also about building infrastructure. This means diversification of the securities market in terms of product, place and process,” added Khatiwada. He also said that the online trading system in the secondary market will also help strengthen the governance of the private sector. Rewat Bahadur Karki, the chairman of Securities Board of Nepal (Sebon), said that the online trading system will help in taking the stock market outside the Kathmandu Valley. “Now, investors in all 677 local units of the country have access to stock trading. During our visits to many local units, people who have bought shares in the primary market ask when they can sell their stocks,” said Karki. “The online trading system means the secondary market will be expanded and we can hope that this will reach to commercially active districts at least, allowing many people to participate in the market,” he added. Nepse CEO Chandra Singh Saud, however, cautioned that the online trading system will not alter the possibility of losses and gains in the market. Saud claimed that the online trading system is an 'art-of-technology' and enables investors, including non-resident Nepalis, to trade in Nepal's securities market once they are allowed. “The launch of the online trading system is a milestone toward the journey to make our secondary market of international level,” said Saud, claiming that the NOTS follows the international standards of securities trading system. But, brokerage firms say that the new system cannot go fully online until the banking system is integrated into it. “The banking or payment system is yet to be integrated. If investors have to come to the brokerage office to receive or make payment after the trading of securities, it cannot be fully online,” said Bharat Ranabhat, the president of Stock Brokers Association of Nepal (SBAN). Nepse officials say that their system has the feature to integrate banking and payment system, but banks are responsible to avail such services. To use this service, investors must get a user id and password from brokerage firms. However, those who want to carry out trading manually will still have that opportunity. 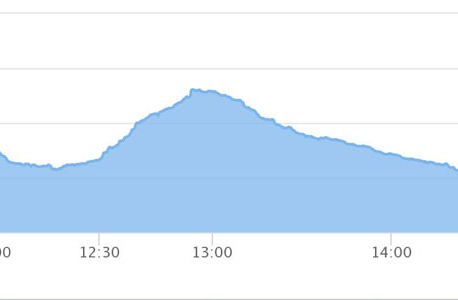 Though Nepse CEO claimed that the new system was built as per the 'international standard', those using it the new system said that they encountered some technical glitches while trading securities on the first day of the full-fledged implementation of the NOTS. Priya Raj Regmi, former president of SBAN, told Republica that he faced some errors in the new trading process. Some of the glitches that Regmi experienced include cancellation of trading on the ground of 'insufficient fund', inability to edit the order process that requires investors to start new order process, and failure to get floor sheet for individual investor. Though trading data was not displayed on Nepse's website, Murahari Parajuli, the Nepse spokesperson, said that the issues had nothing to do with the new online trading system.